50 W of thunder for modern American players. 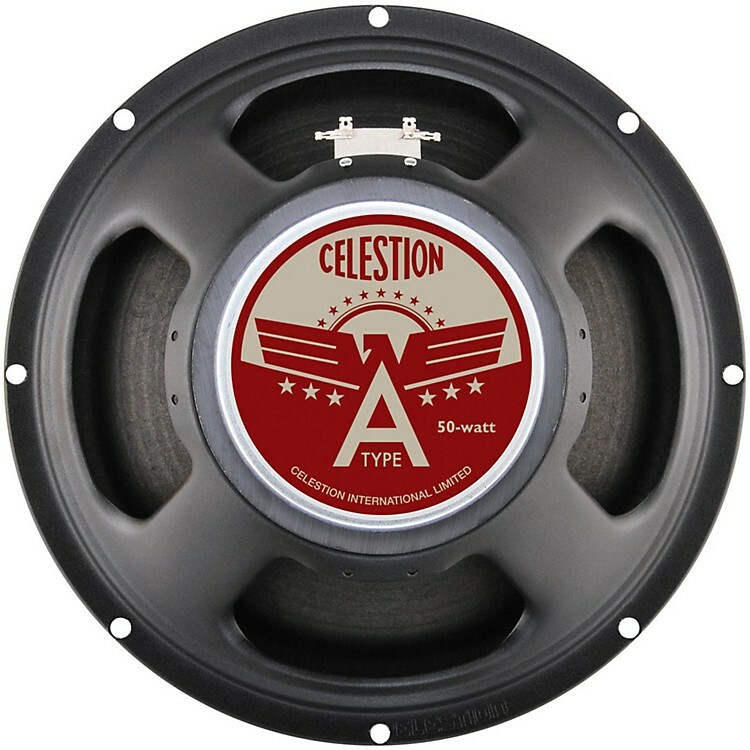 Inspired by American amp designs, the A-Type is a different kind of guitar speaker from Celestion. The A-type has the musical and revealing three- dimensional quality that is the heart and soul of the Celestion sound, however it features a laid-back midrange which reveals extra body and complexity in the upper register, accompanied by full and rounded low frequencies.The A-Type conveys a fluid, even performance with an increased headroom threshold that allows your amp' tone to shine through. Clean players will love the smooth articulation; for rockers the brooding, powerful low end grind is just a heavy riff away. Inspired by American amp designs, the A-Type features a laid-back midrange, complex upper register and rounded low frequencies.